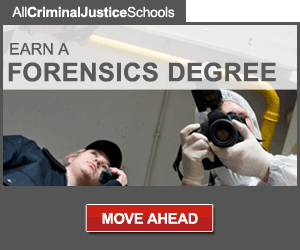 The field of forensic science is important to the criminal justice system. Forensic personnel must pay close attention to detail during the collection, preservation, and analysis of physical evidence. If evidence is mishandled, manipulated, or misinterpreted it can potentially destroy a case and/or the lives of all individuals involved. For that reason it is imperative that forensic personnel are not only properly trained and educated, but they must also be of good moral and ethical character. Many cases have been tainted do to unethical behavior; more must be done in order to prevent unethical behavior from taking place in the field of forensic science. Forensic science is able to reveal information such as who committed a crime, whether or not a crime was actually committed, and what exactly took place during the crime (Barnett, 2001). If one piece of evidence is mishandled, manipulated, or misinterpreted a person's life could be destroyed or justice can go unserved (Ayres, 1994). It is important that forensic personnel allow the evidence to speck for its self without any manipulation or errors (Ayres, 1994). Most people believe that scientific analysis provide trust worthy proof in regards to the interpretation of the evidence, but what they fail to take into account is that the evidence is being handled by humans, which are capable of interpreting the evidence to best suit them (Barnett, 2001). From the crime scene to the lab and in the courtroom it is important that forensic personnel always display good moral and ethical character, while providing trust worthy, high class forensic service (Saferstein, 2011). The first place forensic personnel come into contact with physical evidence is at the crime scene (Holmgren-Richards, 2002). There are policies and procedures that must be abided by in order to properly document and collect evidence (Holmgren-Richards, 2002). If a crime scene investigator fails to abide by the set policies and procedures they are not only acting unethically, but they are also putting the case at risk (Holmgren-Richards, 2002). In order to lessen the chances of evidence being mishandled, there is a chain of custody that must be established from the beginning to the end of the investigation (Barnett, 2001). The possibility of evidence manipulation begins at the crime scene; here evidence can be purposefully or accidentally overlooked, planted, or mishandled (The Innocence Project, n.d). One reason why ethics is so important in the field of forensic science is because the results yielded by physical evidence discovered at a crime scene have a great impact on the lives of others (Barnett, 2001). When evidence is mishandled, manipulated, or misinterpreted the outcome of the case is altered (Ayres, 1994). The Simpson murder investigation is an example of how mishandled evidence can destroy a case. During the evidence collection process at the crime scene hairs and fibers were collected from different areas and packed in the same bag, which contaminated the hairs and fibers (Jones, 2008). Blood samples were also collected from multiple areas and packaged together. The blood samples were also packaged in plastic bags, and then placed in a hot truck for storage (Thompson, 2008). As many crime scene investigators know, biological samples should never be stored in an air tight container nor should it be kept in warm environments (Saferstein, 2011). If biological evidence is stored in these types of conditions the evidence will begin to deteriorate and grow bacteria (Saferstein, 2011). The blood evidence was also collected using gloves that were previously contaminated with by another biological substance (Wang, 2001). During the evidence collection process evidence that could have provided useful information was tainted due to the careless actions of forensic technicians (Forensic Science Central, n.d.). Due to the various mistakes made during the investigation the evidence collected did not hold up in court, and O.J. Simpson was cleared of all charges (Yun Xu, 2001). 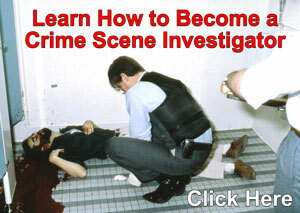 After collecting evidence from the crime scene, the evidence must be analyzed. The analysis of physical evidence is one of the most important steps in the investigation (Hopwood, 2006). The proper analysis of physical evidence can change the outcome of an investigation (Hopwood, 2006). This is one of the times where the work of forensic personnel is capable for misuse by those who either do not possess the proper knowledge and skills required to perform their duties or by someone who is willing to manipulate evidence for their own reasons (Barnett, 2001). Evidence can be contaminated, poorly tested, carelessly discarded, mislabeled or the results can be misrepresented by the technician (The Innocence Project, n.d.). In order to avoid the possibility of evidence becoming tainted due to one not possessing the proper knowledge and skills required, most laboratories and police department require forensic personnel to attend periodical training and maintain current certification (Hart, 2004). Even though efforts are made to reduce the possibility of evidence becoming compromised, too often evidence is mishandled, manipulated, or misinterpreted (Barnett, 2001). Sometimes the evidence is compromised accidentally, but other times, forensic analyst purposefully manipulate evidence for various reasons (Barnett, 2001). In 2008, it was determined that Steven Stokes, who worked for the Tucson Police Department's crime lab as a latent print examiner for 20 years had mishandled evidence in six criminal cases between December 2004 and January 2006 (Phoenix Breaking News, 2008). It has not been determined if he mishandled the evidence purposefully or not, but as a result of his actions Stevens decided to resign (Phoenix Breaking News, 2008). In 2010, it was determined that eight crime lab analysts at the North Carolina State Bureau of Investigation manipulated blood evidence or withheld important information from defense attorneys in 230 cases (San Francisco Examiner, 2010). The analysts manipulated evidence in order to help the prosecution. Of the 230 cases, 190 of the convictions were unjust. Because of the tainted evidence three possibly innocent people were executed, four are currently on death row and two others are serving life sentences (San Francisco Examiner, 2010). Because the work forensic personnel do at the crime scene and in the laboratory are often used in court, it is vital that the skills and knowledge of forensic scientists demonstrate a strong scientific background and a unquestionable understanding criminalistics (Hart, 2004). In the courtroom forensic personnel are called upon to provide expert witness testimony in regards to their specialty (Van & Saks 1983). In some cases the expert testimony given by forensic personnel have a lot of weight in regards to the outcome of the case (Van & Saks 1983). For that reason it is vital that the expert witness (forensic scientist) be 100% qualified and be of good ethical and moral character (Hart, 2004). One case of false expert testimony involved former director of the West Virginia state crime lab, Fred Zain (The Innocence Project, n.d). Zain testified falsely in favor of the prosecution and manipulated multiple cases in West Virginia and Texas (The Innocence Project, n.d). Later DNA evidence and new evidence revealed that Zain manipulated evidence results and provided a false expert testimony in multiple cases (The Innocence Project, n.d). Another case involved Pamela Fish, a Chicago lab technician. Fish testified falsely in favor of the prosecution about evidence she had analyzed in eight separate cases (The Innocence Project, n.d). The defendants were later proven innocent due to DNA testing (The Innocence Project, n.d). This type of unethical behavior is unacceptable, and a greater effort must be made in order to ensure this type of behavior does not take place (Hart, 2004). The manipulation, mishandling, and misinterpretation of forensic evidence can have damaging effects on criminal cases and the lives of others. It is important to ensure that forensic personnel are competent in regards to the duties and responsibilities of their chosen area of forensic expertise. Too often forensic evidence has been mishandled, manipulated, and misinterpreted, which has caused destruction to many criminal cases and the lives of many innocent individuals. Only those who are properly trained, educated, and are of good moral and ethical character should be entrusted to handle forensic evidence. The physical evidence in criminal cases has a lot of weight in court. The jury is heavily influenced by the results of the forensic evidence and in some cases the testimony of expert witnesses. It is for that reason unethical behavior in the field of forensic science should not be tolerated. The evidence should be allowed to accurately speck for its self free of error and/or manipulation. Barnett, P. D. (2001). Ethics in forensic science: professional standards for the practice of criminalistics. Boca Raton: CRC Press. Holmgren-Richards, J. (2002). Ethics in Forensic Science: Professional Standards for the Practice of Criminalistion. Criminal Justice Review (Georgia State University), 27(2), 390-391. Retrieved from EBSCOhost. Saferstein, R. (2011). Criminalistics: an introduction to forensic science (10th ed.). Upper Saddle River, NJ: Prentice Hall. Van D.R., & Saks M.J. (1983). Scientific evidence in litigation: problems, hopes, accommodations, and frustrations. State-Court-journal, 7(1), 5-7. Retrieved from EBSCOhost.